CloudGuide app - The official application for the ‘Architectural Ceramics in Europe’ project. 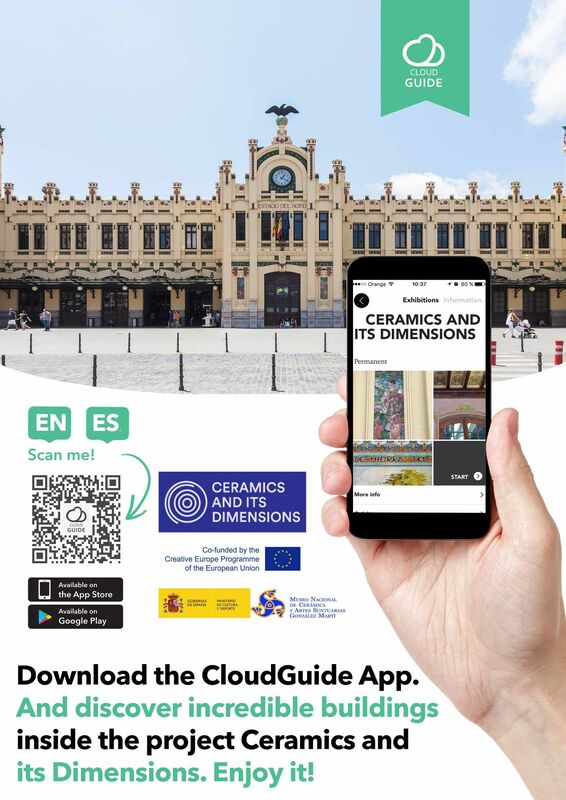 On February 7th 2019, The National Museum of Ceramics and Decorative Arts "González Martí" in Valencia, Spain introduced CloudGuide as the official application for the ‘Architectural Ceramics in Europe’ project. This project co-funded by the Creative Europe Programme of the European Union regroups information about over 150 buildings with applied ceramics across 22 European countries. There is so much historical connection between European architecture and ceramics, one that tells a story and still to this day, plays a prominent role in the everyday life of people. A material that has been used in a variety of historical-cultural contexts, as well as for its decorative and architectural purpose to the use of its expression of traditions, lifestyles and social or economic behaviors. This can also be due to its characteristics and design possibilities, which explains why this material has been used in such a diverse and global way throughout history. Through the CloudGuide app, the project results are now made accessible to a worldwide audience. One that allows any user to discover ceramics according to its cultural, historical, technical and artistic aspect by connecting museums, architects and designers across different European countries. 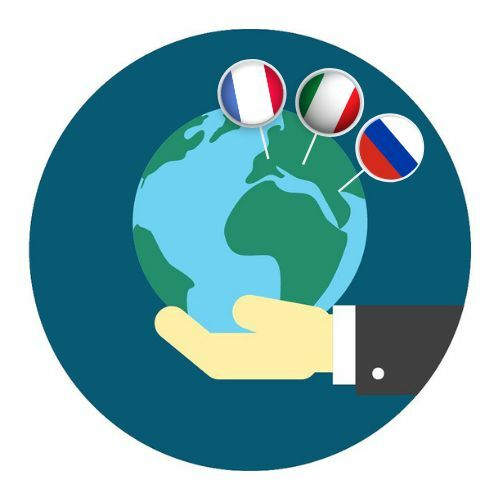 No need to travel across 22 countries to immerse yourself in the world of ceramics, just download the CloudGuide app and discover the impressive results uncovered during this project. For the 2nd year, CloudGuide receives support from the Ministry of Education, Culture and Sport. Thanks to the support for the modernization and innovation of cultural and creative industries through digital and technological projects from the Ministry of Education, Culture and Sport of Spain, CloudGuide is developing for the second year in a row the Big Data project. This project not only aims to create audience studies based on the behavior of visitors within each participating institution, but in addition, analyze the behavior of visitors in Spanish cultural institutions at both a national and international level. The fundamental objective of this project is to provide cultural institutions (museums, monuments and governments) with a digital tool that can be used to better understand visitors in a quantitative and qualitative way as well as offer a proactive solution to an ongoing obstacle facing institutions today - how to better improve their visitors experience. 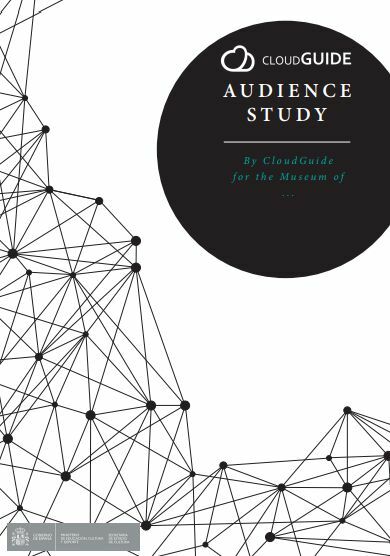 With this report, all participating institutions will receive a personalized study of their audience, containing more than 70 different variables designed to specifically fit the needs for cultural institutions who want to gain a deeper insight on the behavior of their visitors and improve their overall experience inside and outside of their institution. Growing our team for rapid expansion ! After the amazingly successful 2018, we kicked off the new year with fresh new additions to our team in order to strengthen our global presence. To support our international expansion, we’ve added more than 5 additional members to our team in the last few months, whom will be joining us in our Barcelona office. 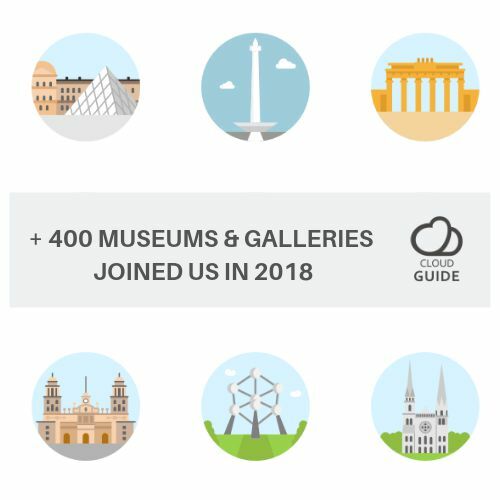 It only makes sense to grow the CloudGuide family to support our rapid growth in the last year and to help us continue expanding our presence as the leading app for museums and cultural institutions. With several exciting new challenges and additional features in the works, we are excited to be joined by a group of determined, proactive and hardworking people. Here is to an exciting future!